The new 2019 Honda CBR400R has been unveiled and for starters, looks quite different from its predecessor. Its styling is derived from the larger Honda CBR500R. You now have more premium looking LED headlamps, smaller flyscreen and a lowered, more compact front fairing. While its predecessor looked more like a sports tourer, this one looks like a proper sportsbike. It also has a sporty livery to match. In keeping with the sporty directive, the clip-ons are lower now and that leads to a sportier riding position. The seat height is a low 785mm and should be accessible to shorter riders. Other than the styling, the CBR400R borrows its tubular diamond type frame from the larger CBR500R. Suspension setup includes a 41mm telescopic fork that can be adjusted for preload. At the back, you have a linked type monoshock. The 17-inch alloy wheels are covered with 120/70 ZR 17 front and 160/60 ZR 17 rear radial tyres. Braking is via a front 320mm disc clamped by Nissin callipers and 240mm rear disc with a dual-channel ABS unit. It weighs quite a bit at 192kg (kerb). Power comes courtesy of a 399cc liquid-cooled parallel twin motor that makes 49PS at 9000rpm and 38Nm of torque at 7500rpm. In comparison, its only other 400cc rival, the Kawasaki Ninja 400 makes 49PS at 10,000rpm and 38Nm of torque at 8000rpm and weighs only 173kg (kerb). 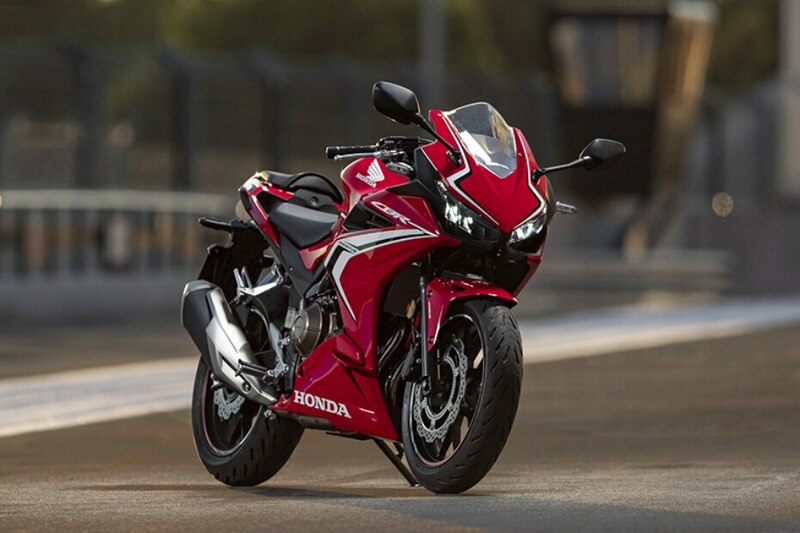 The Honda CBR400R gets a six-speed gearbox with a new slip and assist clutch. For now, the 2019 Honda CBR400R is on sale in the Japanese market for Rs 5.16 lakh. Honda has no immediate plans to launch the CBR400R in India but it it does, this new sports bike will rival the Kawasaki Ninja 400 which is sold here for Rs 4.69 lakh (ex-showroom, India).